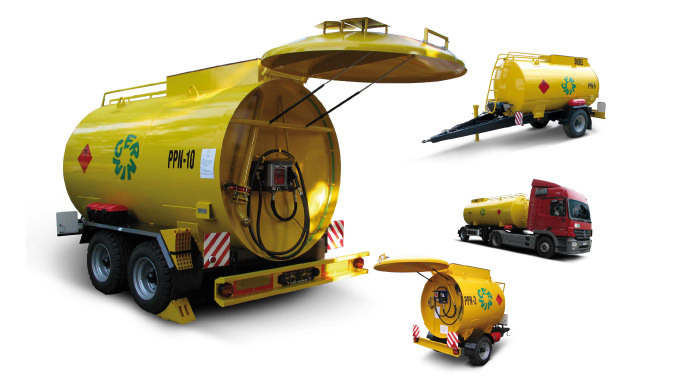 The mobile service tank is designed for the non-public delivery and storage of diesel fuel for the user's own needs. Realization is accomplished without projects, earthworks, construction works, assembly of steel structures, technological installations, etc. The mobile operating tank consists of a steel lying single-layer non-pressure tank equipped with breakwaters rigidly connected to the chassis. The tank is equipped as standard with a suction fitting with a shut-off check valve at the end of the suction line. In order to control the quantity of the stock, the measuring and desulphurisation valves or the continuous level measurement with the OCIO system are used. The equipment is approved by TÜV SÜD Auto CZ s.r.o., TÜV SÜD Czech s.r.o. and the Ministry of Transport of the Czech Republic. Why a mobile diesel tank. Its benefits.